A nonprofit’s guide to a better website. Stop flying by the seat of your pants: Available Now! “This is the best book on nonprofit marketing and website work I have ever read” — Someone will say, probably. 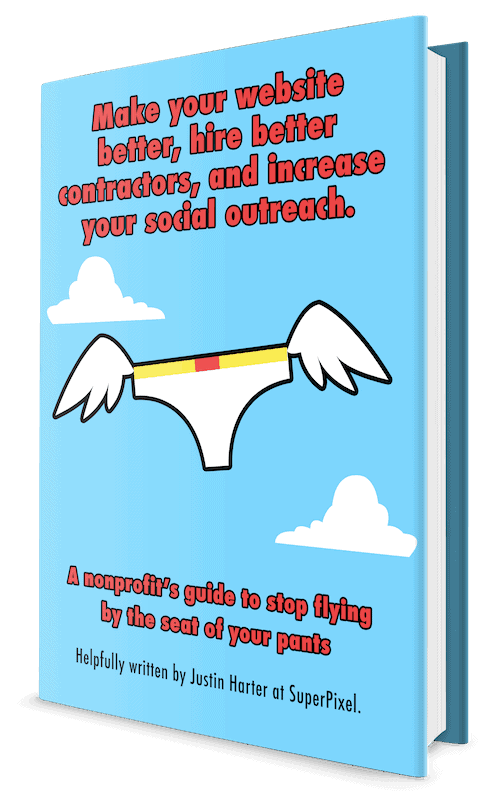 If you’re a nonprofit director, board member, staffer, or volunteer: you have to stop flying by the seat of your pants. This short guidebook distills over a decade of experience making websites, designing creative work, and developing strategies for small and mid-size organizations like yours, all in under 7,000 words. Available for free, to you, to help make your website, email campaigns, logo, social media outreach, and more better. What’s included in this nonprofit guide to a better website?